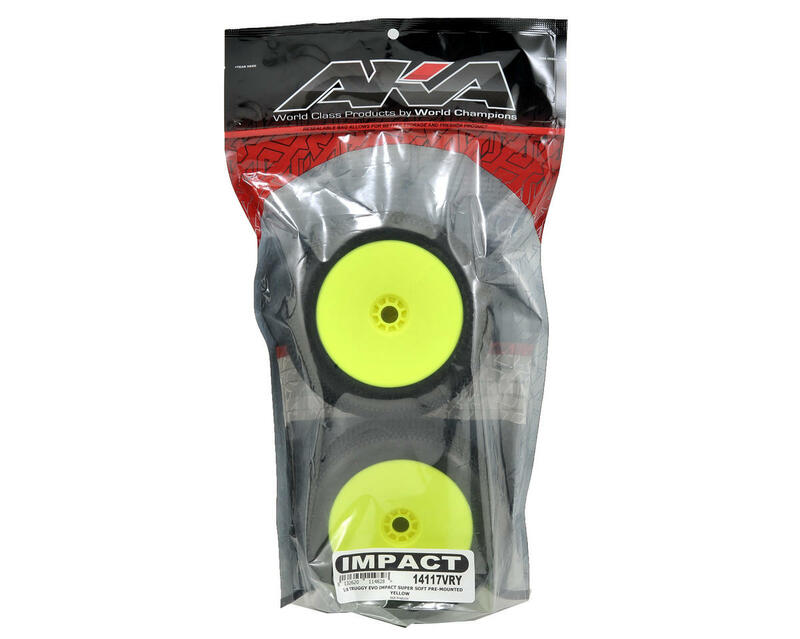 This is a set of two AKA Racing EVO Impact 1/8 Truggy Tires, pre-mounted on yellow EVO wheels. 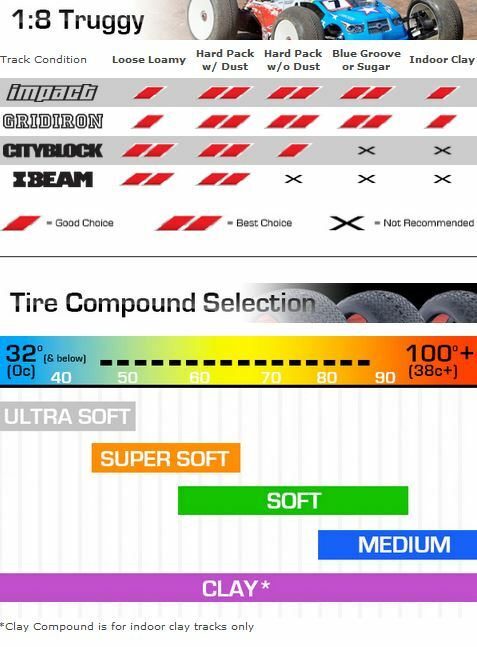 The Impact tire features a dense small square lug pattern with offset lug rows in the center of the tire to deliver maximum forward traction and good wear characteristics. The two outer rows of lugs are parallel to create a circumferential groove at the edge of the tire to give the tire very predicable side bite. This allows the car to rotate in the center of the turn while still feeling very stable and predictable. AKA EVO Truggy tires feature the ROAR legal 1:8 Truggy bead design and a redesigned carcass shape that includes internal ribbing. This bead design mimics the 1:8 buggy bead design which will make for easier assembly and a stronger bond between the wheel and the tire. The carcass shape has been refined to take advantage of the bead design. Internal ribbing has been added to minimize tire growth at high RPM and support the tire contact patch during cornering. All this adds up to much improved handling and lower lap times. 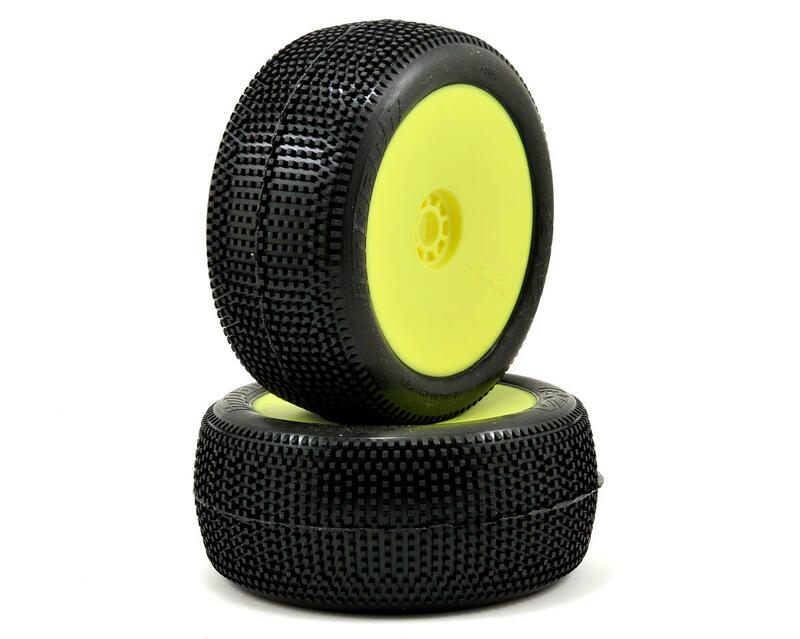 The EVO Truggy wheel is modeled after the World Championship winning EVO Buggy wheel. The wheel features a convex face to help stiffen the wheel and add additional protection to the outside face. The EVO wheel has been designed with the new ROAR 1:8 Truggy wheel bead. This bead design is much simpler and promotes a stronger bond between the tire and wheel. The optional internal disk offers two benefits. The first is stiffness. With the disk installed the wheel will be stiffer which is very desirable on tracks with large jumps, high traction, high speeds or high ambient temperatures. The second benefit is balance and weight. With the disk installed dirt cannot buildup inside the wheel and throw off the balance and add unwanted rotating mass. Last but not least the new EVO wheel is 6.5% lighter than the current AKA truggy wheel.